We manufacture plastic storage tanks in a wide range of shapes and quantities in corrosion resistant materials. We have the ability to match the correct corrosion resistant plastic material to the application when replacing a steel tank with a new plastic tank. 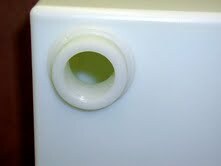 Plastic tanks, plating, processing tanks, steel tanks and other plastic fabrications are available, using Polypropylene, High Density Polyethylene and FDA Approved for fresh water tanks. Customers are given the opportunity to approve AutoCADÂ® drawings of custom plastic fabrications and plastic tanks prior to fabrication.